Truffle juice, from real black winter truffles. The chestnut-colored nectar is perfumed with an earthy, slightly yeasty truffle scent reminiscent of dark porter beer with notes of bitter cocoa. 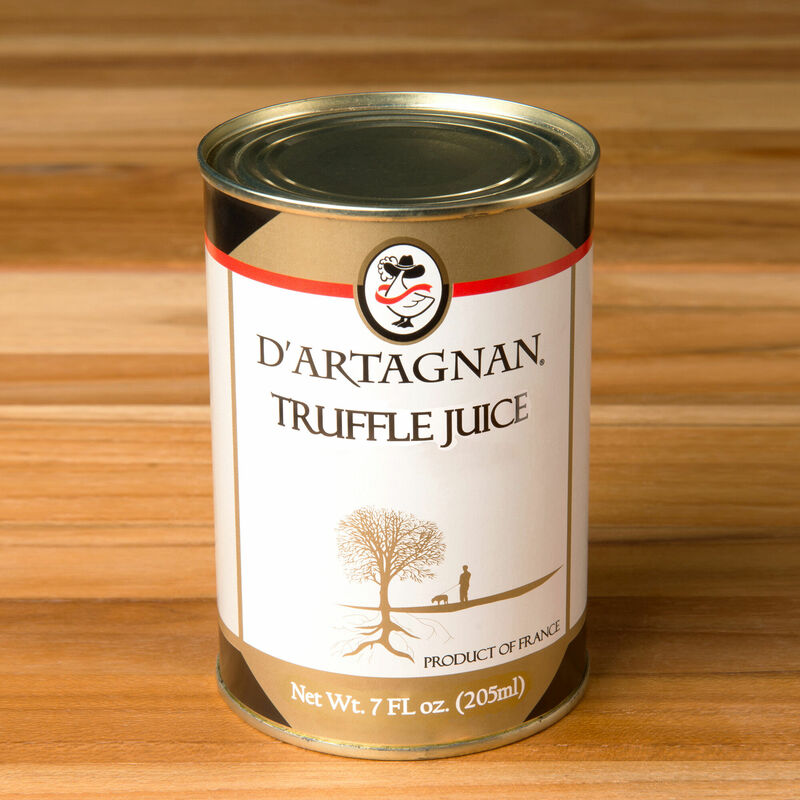 Truffle juice is a flavor enhancer, and adds depth and character to sauces, like the classic Périgourdine, broths, braises, stews and vinaigrettes. It works best when layered with other truffle products. Truffles are one of the supreme luxuries in nature, foraged from the roots of trees in great secrecy in the forests of Europe. Earthy and intoxicating, their distinctive fragrance has inspired culinary brilliance for centuries. But the season is fleeting, which is why we offer preserved truffle products year-round. With all-natural ingredients, they are the next best thing to fresh truffles.